Context: The Central government has filed a counter affidavit in the Supreme Court expressing its inability to give Special Category Status (SCS) to Andhra Pradesh and said all commitments under the A.P. Reorganisation Act (APRA), 2014 had been addressed. For Prelims and Mains: SCS and associated issues. 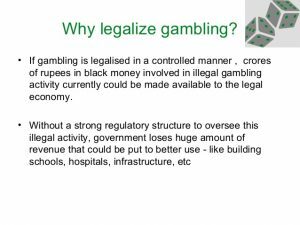 Context: The Law Commission of India has submitted a report to the government recommending “cashless” gambling in sports as a means to increase revenue and deal a blow to unlawful gambling. 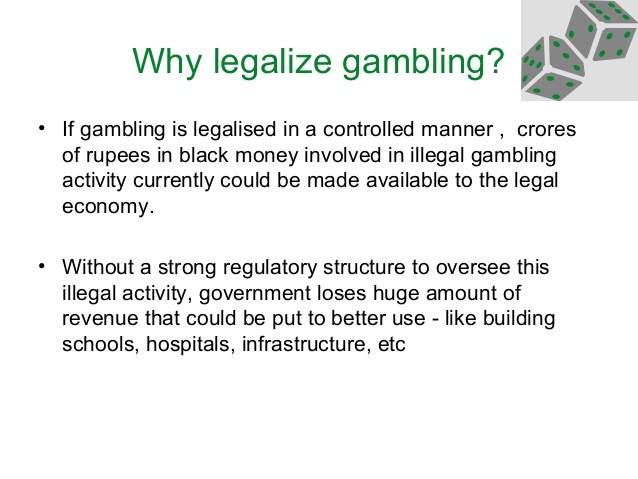 For Mains: Legalize gambling- need, concerns, challenges in regulation and solutions. Context: ICAT has completed the first BS-VI certification for a heavy-duty engine model for M/s Volvo Eicher Commercial Vehicle Limited. The International Centre for Automotive Technology (ICAT) is a division of NATRiP implementation society (NATIS), under the administrative control of the Ministry of Heavy Industries & Public Enterprises, Government of India. ICAT is the first of new world-class centers established under the National Automotive Testing and R&D Infrastructure Project (NATRiP) with the main objective of carrying out Research & Development besides extending homologation facilities in the field of Automotive Engineering. For Prelims: BS Norms and composition. For Mains: BS norms- implementation- issues, challenges and solutions. Context: NASA puts finishing touches to 430,000mph Parker Solar Probe that will launch next month to help predict devastating solar storms. 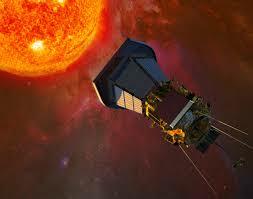 For Prelims: Parker solar probe, living with a star program. 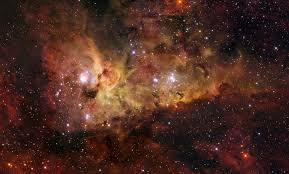 For Mains: Study of sun- significance and how it helps in better understanding of earth. 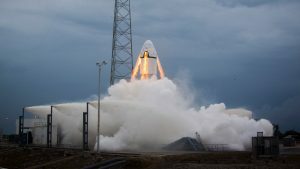 Context: ISRO recently conducted the first ‘pad abort’ test critical for a future human space mission. The Pad Abort Test demonstrated the safe recovery of the crew module in case of any exigency at the launch pad. Context: National Board for Wildlife (NBWL) recently added four species into the center’s recovery Programme for critically endangered species. This decision will lead to targeted conservation of these species whose population is on the decline. 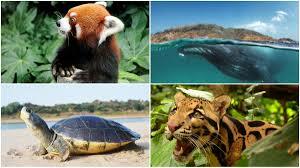 Species already included in the recovery programme: Snow Leopard, Bustard (including Floricans), Dolphin, Hangul, Nilgiri Tahr, Marine Turtles, Dugongs, Edible Nest Swiftlet, Asian Wild Buffalo, Nicobar Megapode, Manipur Brow-antlered Deer, Vultures, Malabar Civet, Indian Rhinoceros, Asiatic Lion, Swamp Deer and Jerdon’s Courser. India is a party to the International Whaling commission that is committed to the protection of whales and its habitats in Indian waters. National Board for Wildlife (NBWL) is a statutory Board constituted in September 2003 under Section 5 of the Wild Life (Protection) Act, 1972. The NBWL is chaired by the Hon’ble Prime Minister. Context: UNESCO has entered into an agreement with Andhra Pradesh Economic Development Board (APEDB) to establish a ‘Gaming Digital Learning Hub’ in Vishakhapatnam. Next story Insights MINDMAPS: “Banking Reforms” and “Supreme Court verdict on Delhi CM vs Lieutenant Governor”.